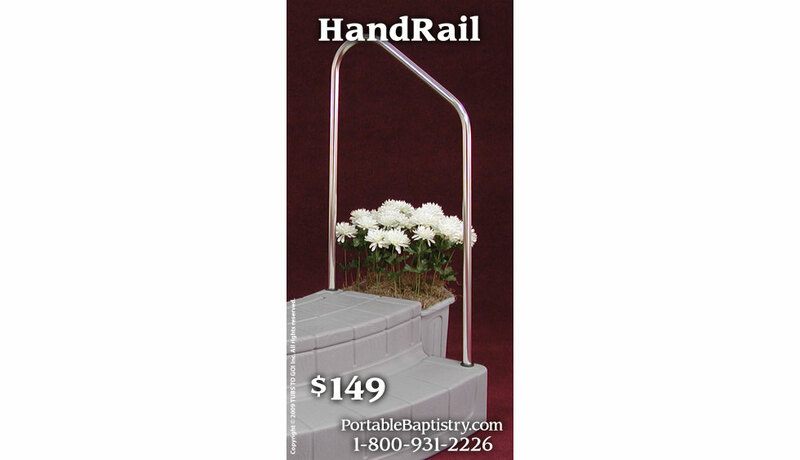 The Grand Entry HandRail provides sturdy assurance for candidates entering and exiting the Portable Baptistry via the Grand Entry Steps. The HandRail securely installs on either side of the Grand Entry Steps. These features make the Grand Entry Steps the preferred steps for the Portable Baptistry, and often a popular add-on purchase for churches that want a second set of steps for exiting the Baptistry on the opposite side. NOTE: Grand Entry Steps and Planters are sold separately. 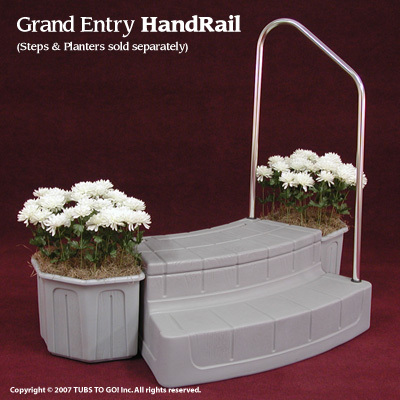 HandRail can only be used with the Grand Entry Steps, and is not compatible with the Basic Entry Steps.